Two Bears Farm and the Three Cubs: Do I Look Monstrous to You? Do I Look Monstrous to You? I love Halloween. It's one of my favorite things about Fall. 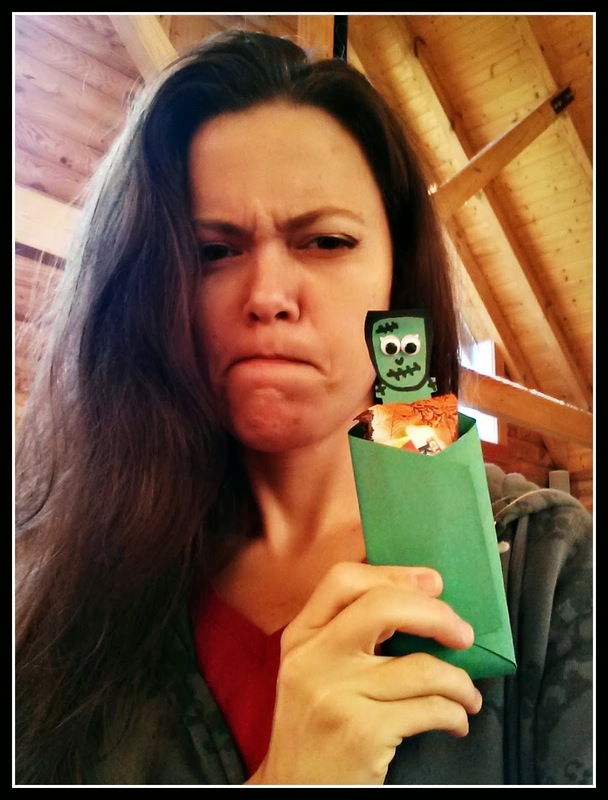 Recently we got a surprise in the mail - a box, with a Frankenstein on the outside. 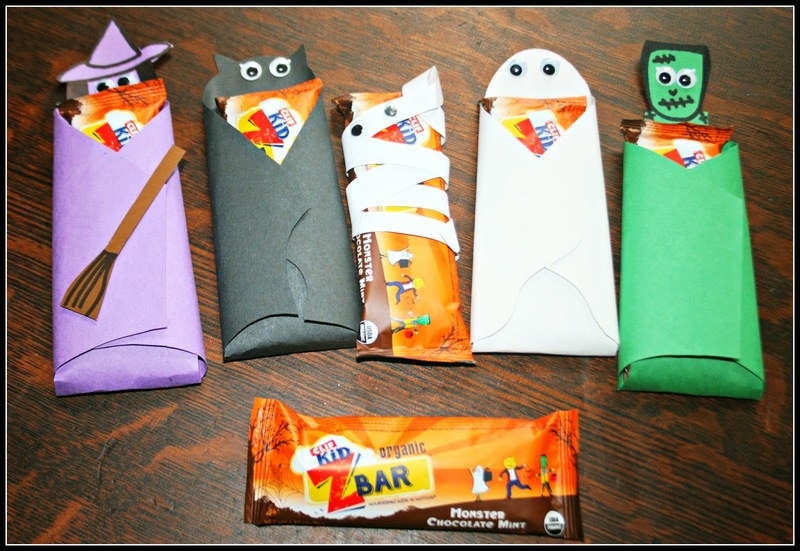 I opened it up to find that CLIF Kid had surprised us with a sampling of their newest Zbar, Monster Chocolate Mint. They know how much my boys love their healthy, organic snacks. 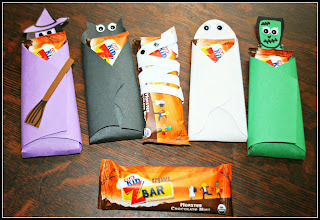 I thought the bars were so cute dressed up as festive monsters, and I tucked the Frankenstein into Pierce's lunch box for the following day. When Pierce got home that afternoon, I said, "Hey, how did you like your monster snack?" He said, "What monster?" I said, "The Frankenstein!" And I pulled the empty wrapper from the lunch box and showed it to Pierce. He said, "Oh. I thought that was you." Disclaimer: I received some Clif Zbars in the mail. I was not obligated to blog about them - but we enjoy their products and I had to share this funny story. Hey... it's so creative idea. I love the purple one. Funny boy, he got old mommy that time, he has a sense of humor! He is such a funny boy! What a sense of humour for such a young fellow! No you don't look like Frankenstein-at all. Very cute packaging for the bars. Halloween. My wife will make me go buy a pumpkin and she will carve it up and put it on the porch, although we haven't had a trick or treater up here since my daughter was a teenager, about ten year ago. Lol! I don't see a bit of resemblance. Pierce is ver funny! This is too funny!!!! I think he was looking at the dark hair. These are the coolest! And I am thinking we could make them and put them on candy bars, it doesn't look too hard. You would have to see what shape paper they start out with though. Could you tell? My best friend is a two time ovarian cancer survivor and does not eat much, but she loves the Z Bars. She eats the chocolate, and I can't wait to tell her about the new flavor!! Oh how funny. Boys can be silly at times. You just got to love them. I think your lips need to be more zigzagged. Those look so cute. That new flavor sounds yummy! So adorable! (I don't see any resemblance though:) I do love Clifbars, this is going on my list! I can't wait to hear what he says. Crack me up! Pierce has such a wonderful sense of humor. i did a cute craft with tic tac's, i featured it on my blog recently! you and the boys might like it!! You don't look scary and monstrous to me. But your kids may have a different perception of you. You are, after all, a Mom, and well . . . I think I had better quit while I'm ahead. As for the witch, you might get a great story. I'll keep reading.